Wow! There's so much on this month! We've been busy spending lots of time reading all the great feedback from our June subscriber survey. 1200 people responded – thank you again if you were one of them – and we now have hundreds of tasting tips, insider info and more to share with you soon. It's fascinating to a wine lover like me to read about what others drink and enjoy, and if you want to find out too (plus other insights about your fellow subscribers), read Wine – what we buy, drink and enjoy in 2013. Red wines are up, our subscribers are getting younger – maybe there's a correlation?! And for anyone tired of winter already, scroll down the the competitions section, as we have a package to the Real Food Festival on the Sunshine Coast worth A$770 to give away! Plus, if you want to get in on the Margaret River Gourmet Escape with Rick Stein, Heston Blumenthal and more, there's a special 2 day pre-sale of tickets starting at noon WA time today (Tues 9th July), so scroll down and don't miss out – all tickets sold quickly last year. Cheers from Robyn. Event organisers and marketers (including those in New Zealand! ), quickly and easily list your food and wine events in our calendar for FREE. To reach our subscribers, simply go to VisitVineyards.com/MyLogin and enter your event details. Stop press: just announced – a fabulous prize package for the Real Food Festival valued at $770! 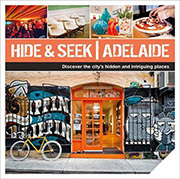 Keen to taste some alternative wine varieties or boutique cider but don't know where to start? We are here to help! Five double passes in each city for Tasmania Unbottled, bringing the state's best wines to you in Melbourne and Sydney and in Brisbane » Hurry, drawn on the 16th July! Wow, we had over 25 invalid entries in the draw for the trip to Canberra and the Taste of Two Regions, because entrants forgot their phone numbers! Please, if you enter for an event ticket competition, remember to add in your contact number. 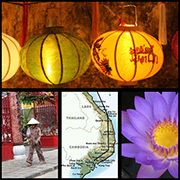 Join the Cape Lux Feast of the Senses Tour and immerse yourself in the cuisine of Vietnam and the culture of Cambodia. Journey to the world of style and bubbles with Bernadette O'Shea's fascinating book Champagne and Chandeliers: Grand Dining Occasions. 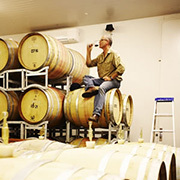 Do you have a vineyard, winery, cellar door, microbrewery or cidery? Are you one of our fabulous wine growers, makers, marketers or sellers? Or making craft beer or cider? Following the success of our subscriber survey last month, we're running a wine (and beverages) industry survey this July. We haven't done this for a few years so it's a great opportunity for you to touch base and let us know how things are, and how we can best help you get more visitors, sell your wines, or however you think we can help you best. You were sent an email invitation last week, but in case you missed it, please click here to email Andrew and he'll send you another survey link. All wine (and related beverages) businesses filling in the industry survey will receive a summary of consumer insights about wine.. Thanks very much and we look forward to hearing from you – kind regards from Robyn, Kerry, Andrew and the VV team. P.S. Our apologies if you were one of the 1800 recipients who received this email twice, but there were some problems with the company whom we use to send our newsletter, causing some links to be faulty, and we had to halt it and send it again.